Now that the weather has turned a little cooler its definitely time to pack away the Summer clothes and think about keeping your little ones warm and cozy in the coming months. We have been searching high and low for the most stylish and practical outerwear and below you will find our pick of the very best jackets, coats and rainwear to keep your kids warm and dry this Winter. 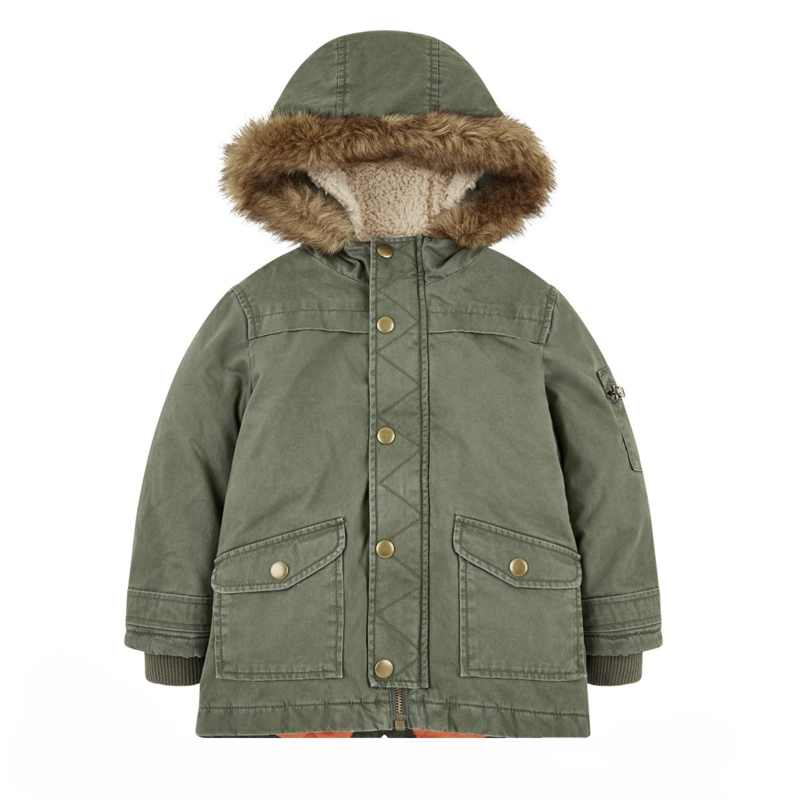 This parka is perfect for those colder months, with a faux fur hood trim, functional pockets and borg lining. With elasticated cuffs and a zip opening for easy dressing. A winter essential, our faux fur parka will have them looking sharp and feeling snug. 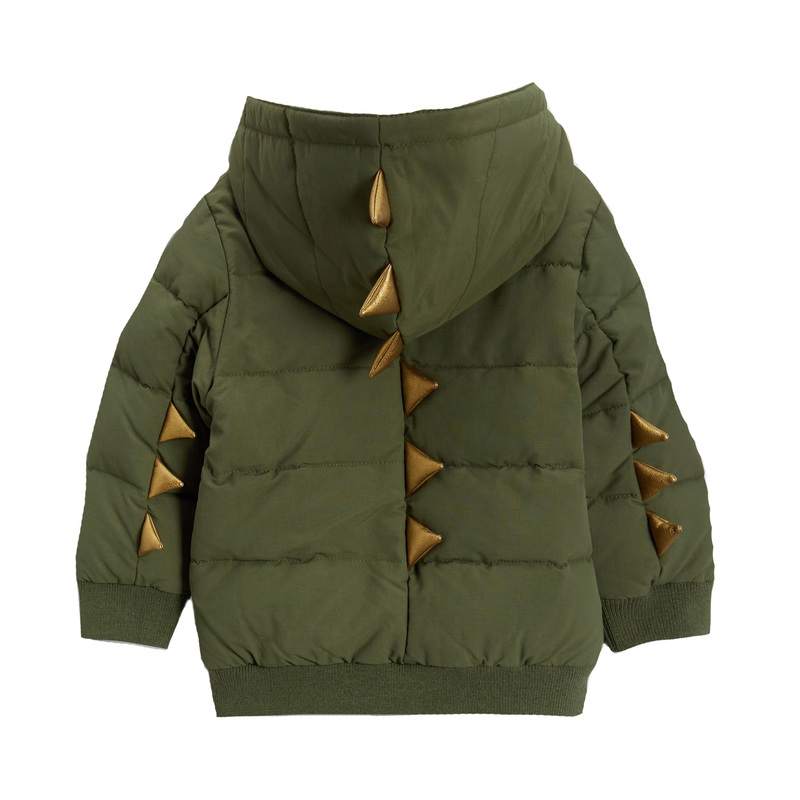 Half lined on the inside with fabulously fleecy fabric, cosy pockets are also lined to keep hands warm, and the hood’s statement fur piece is also fully removable for wearing to school. 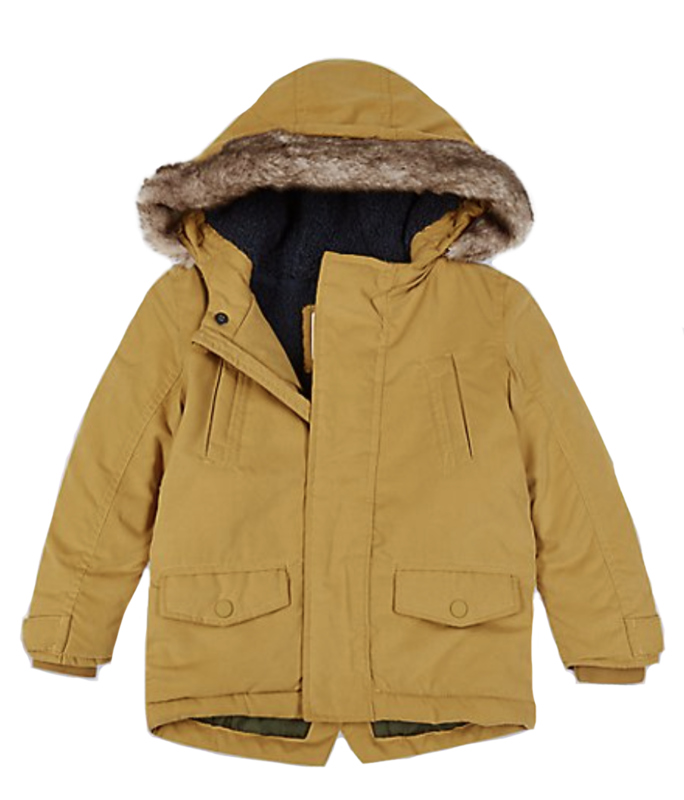 Finished with our Stain & Weatherproof finish to repel dirt and water, this kids’ parka is an outerwear winner. Lightweight rubber jacket with jersey lining. Fun character print. 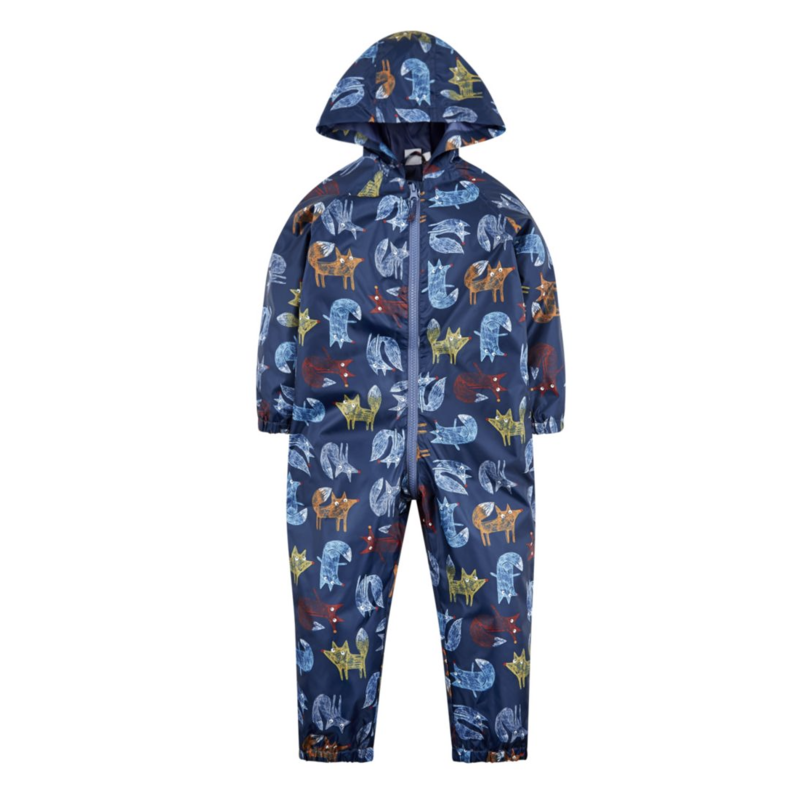 This puddlesuit is an essential addition to any wardrobe. This puddlesuit is shower resistant and perfect for splashing in puddles With elasticated cuffs and hems, as well as a zip fastening for easy dressing this clever puddlesuit folds inside out to form a rucksack for easy transportation. 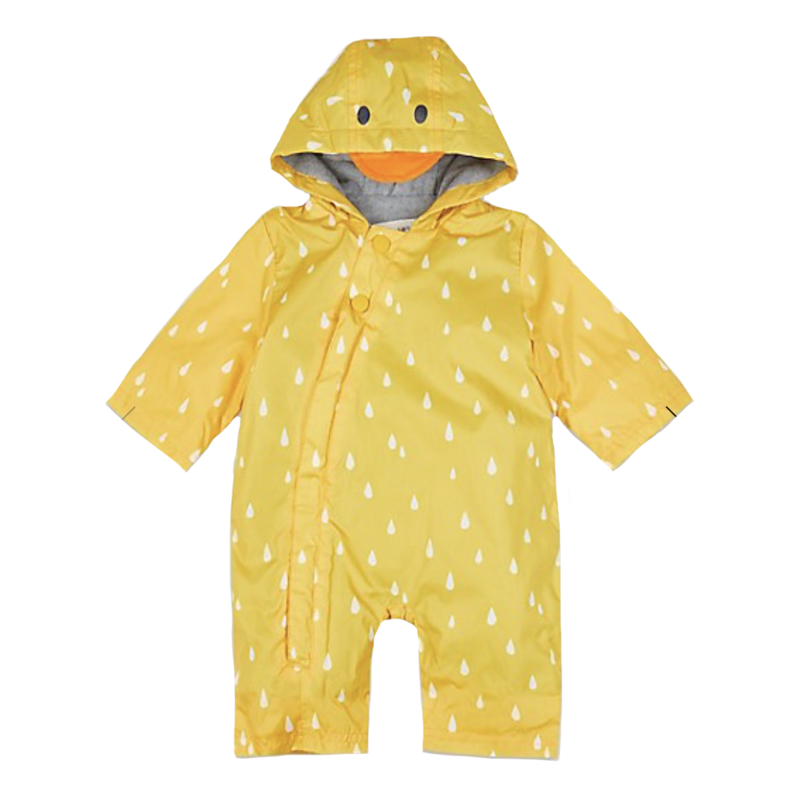 Kids will love pretending to be a sweet little ducky in this puddle suit, letting them splash around in puddles without ruining their clothes. 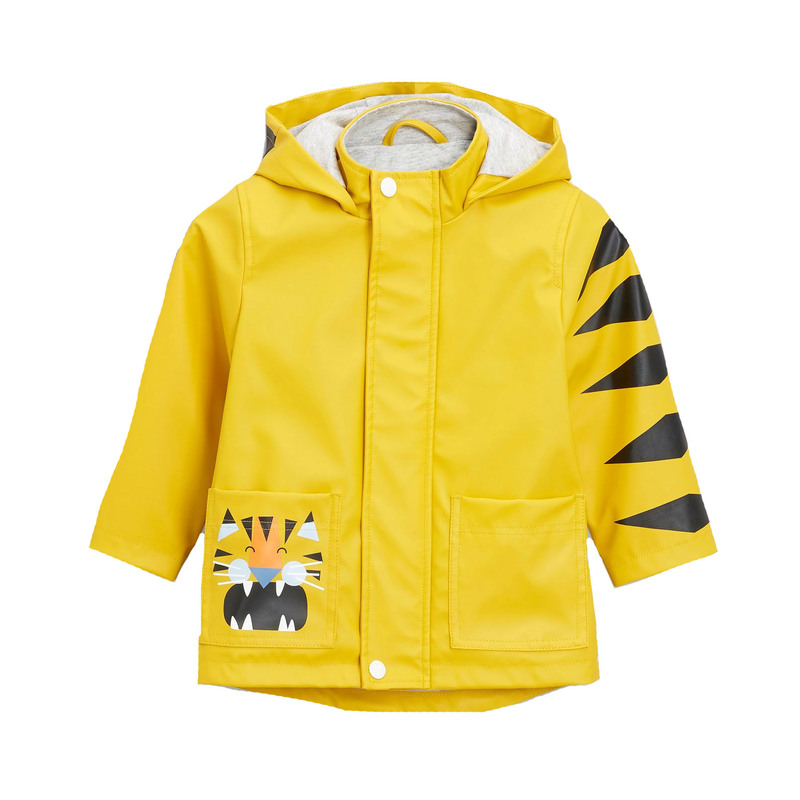 Featuring a cute duck face on the hood and a 3D beak, this children’ raincoat also has a button up front and warm fleece lining to keep them snug while running around in the rain. 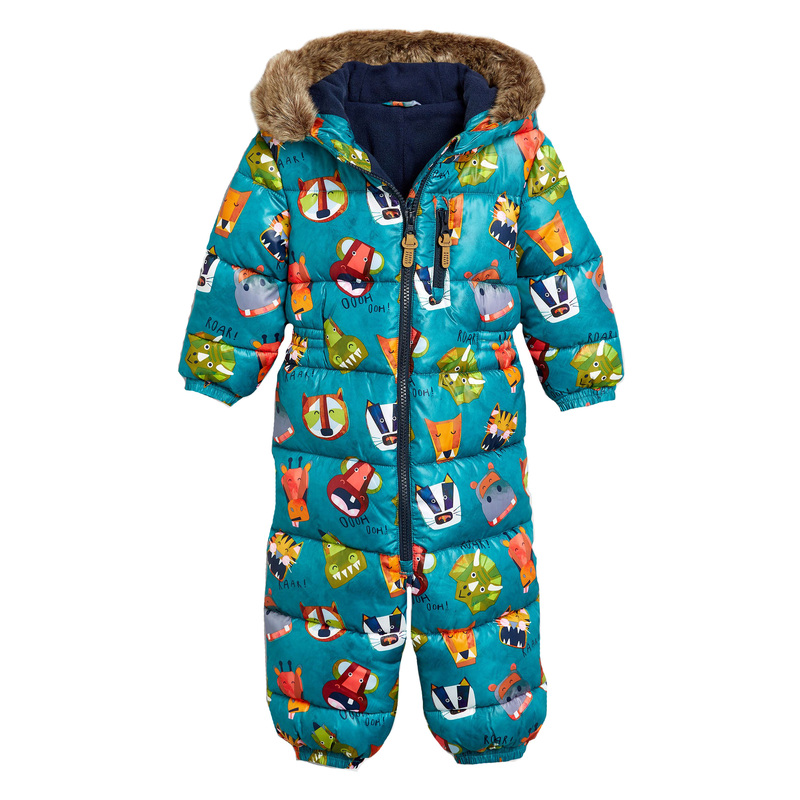 This snowsuit features built in feet for 3 to 6, 6 to 9 and 9 to 12 months, and a fleece-lined top-half for extra warmth. 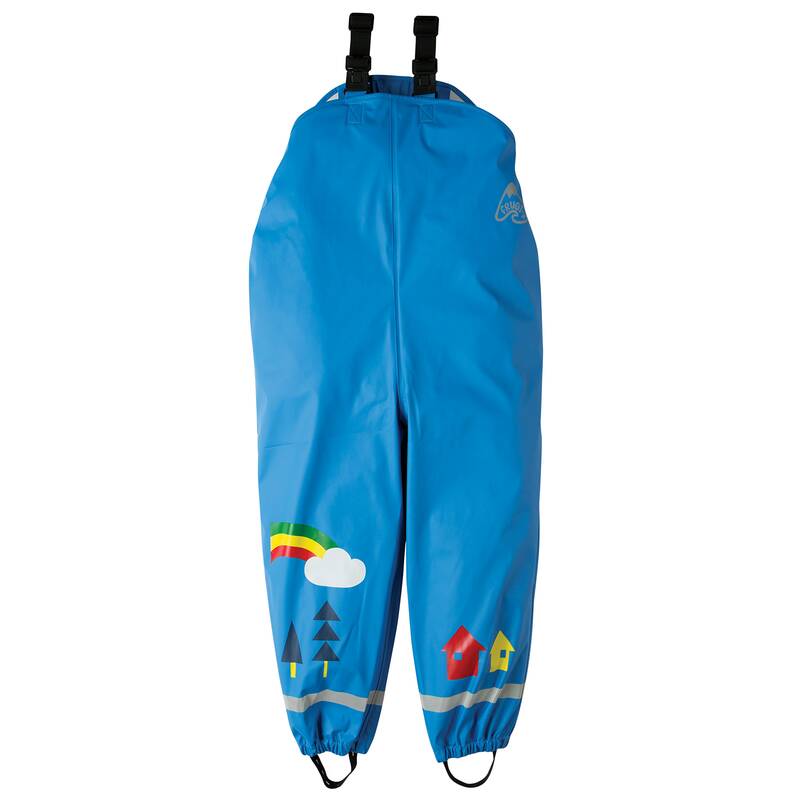 It is shower resistant with reflective piping, and is suitable for cold temperatures down to -25c. 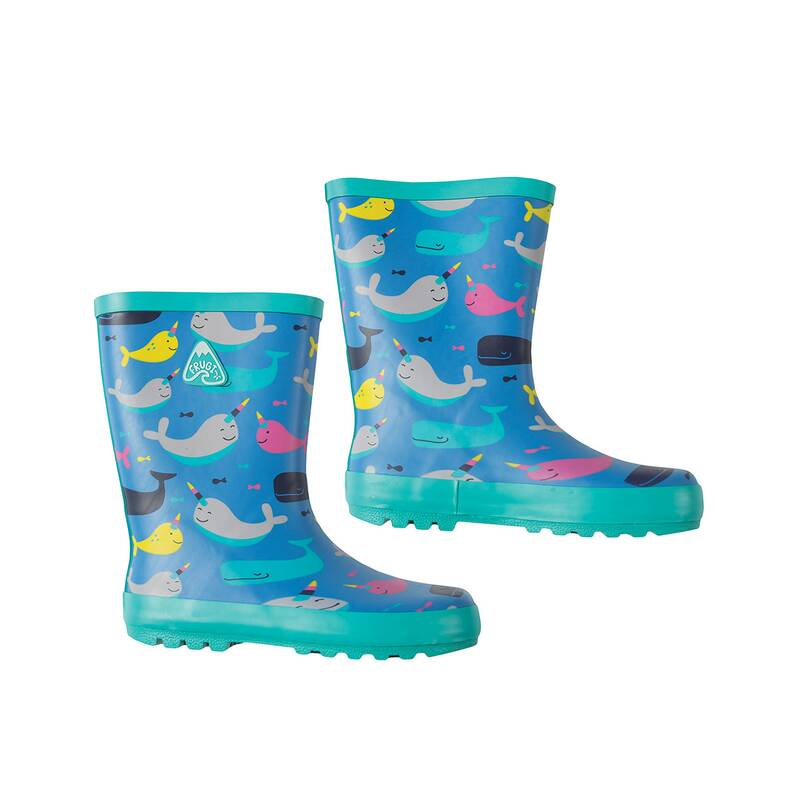 Ideal for jumping in puddles and keeping your little one dry this wet and rainy season, these Puddle Buster Wellington Boots coordinate perfectly with the rest of our Puddle Buster Range! 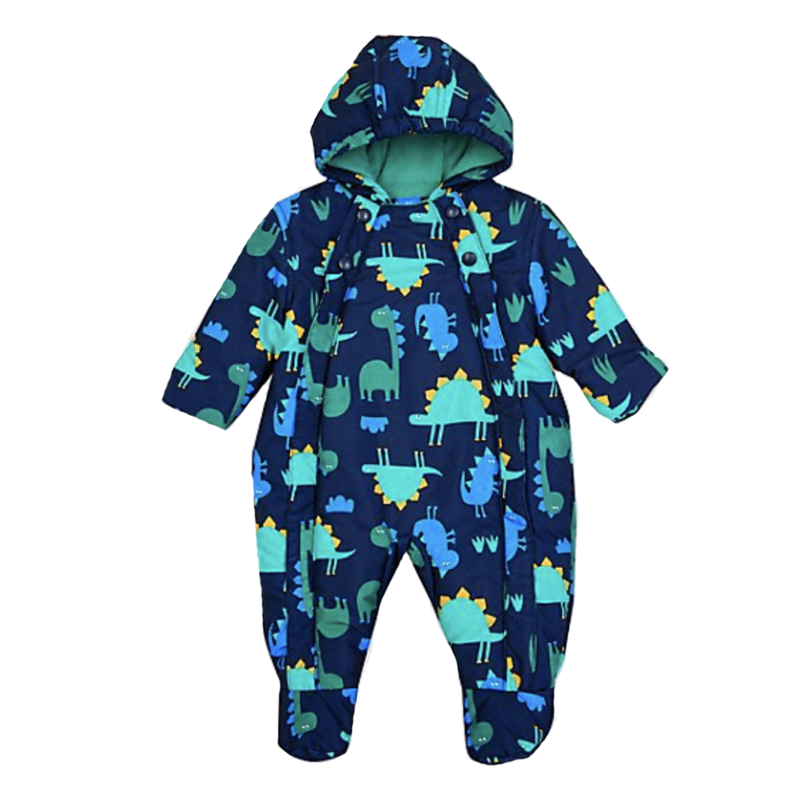 For all little baby-saurauses, our dinosaur snowsuit is an essential winter warmer. 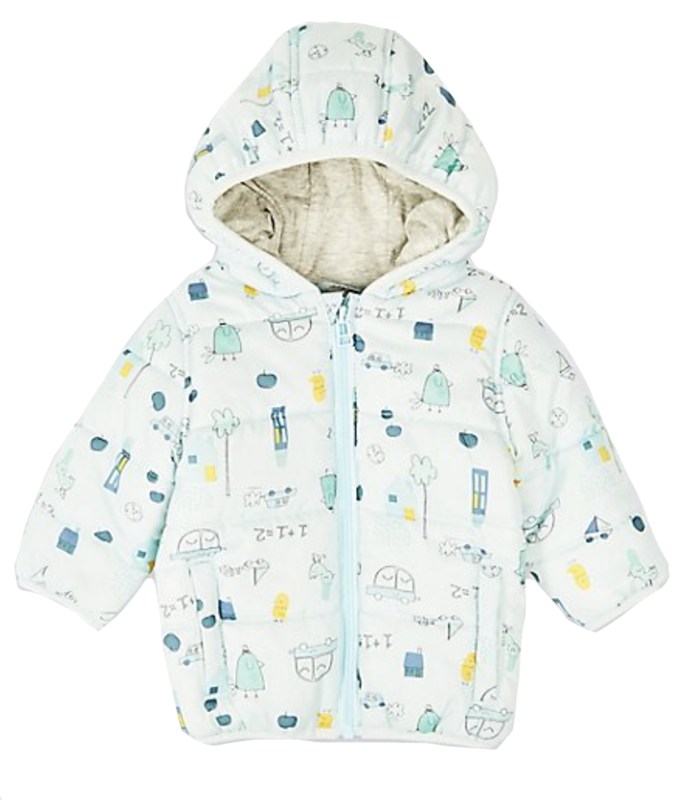 Hooded and fleece lined, with cosy booties and fold down sleeves to cover little hands, this cute quilted bodysuit will keep them warm from head to toe. 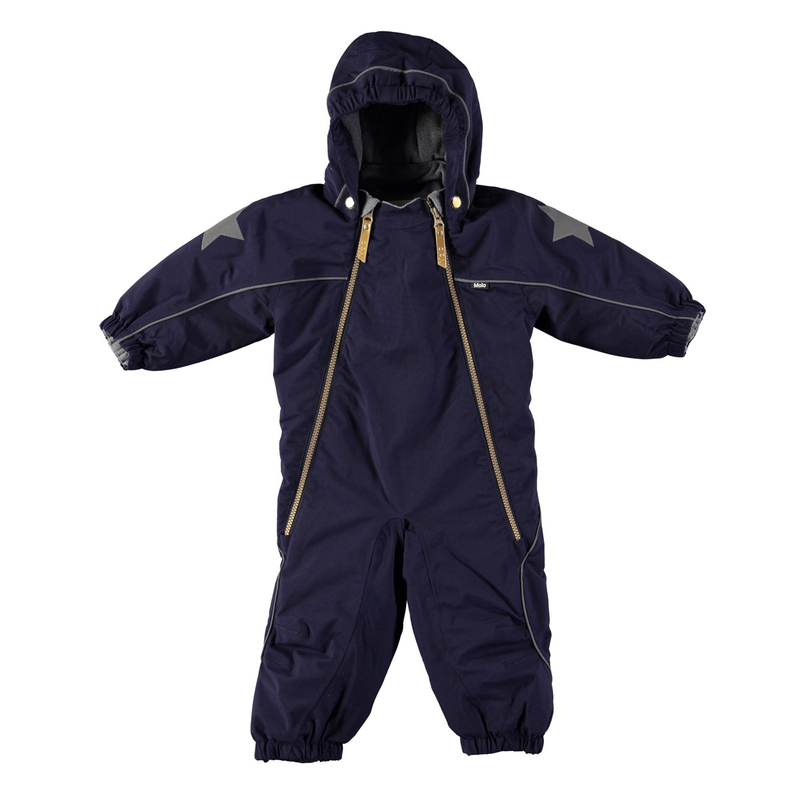 Fastening with poppers to let the central panel unfold for super simple on and off, this baby snowsuit will have them look and feel great in chilly weather. (Does not contain, e.g. PFOS, PFOA, etc). Water column pressure: 10.000 mm. Breathable: 8.000 g/m2/24hr. If you go down to the woods today…you’ll meet our friendly Winter Bear! 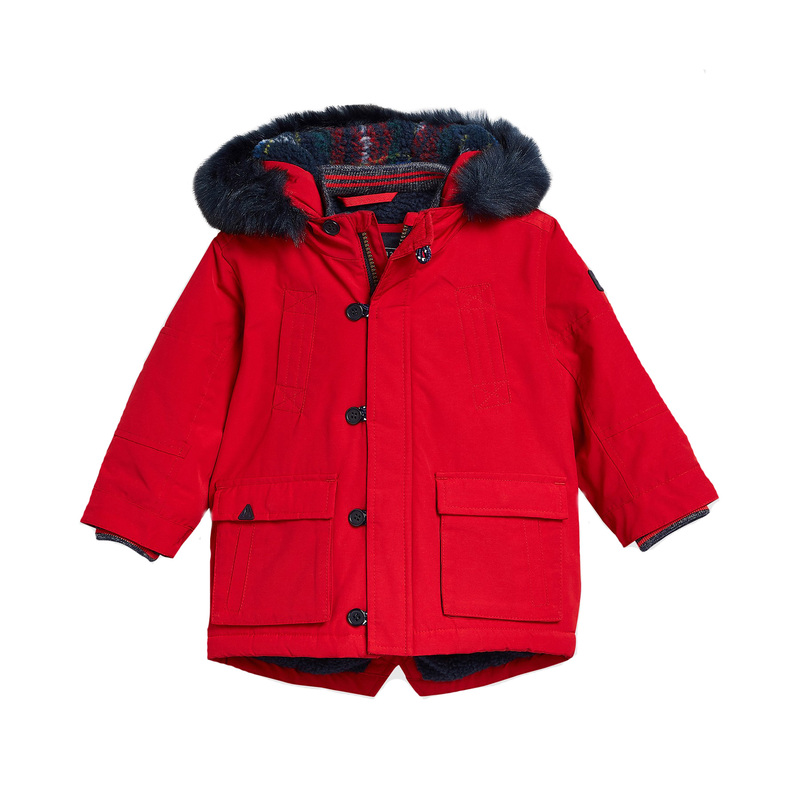 Our cosy Reversible Jacket will keep your little one warm and cosy for all their adventures on cold and windy days. 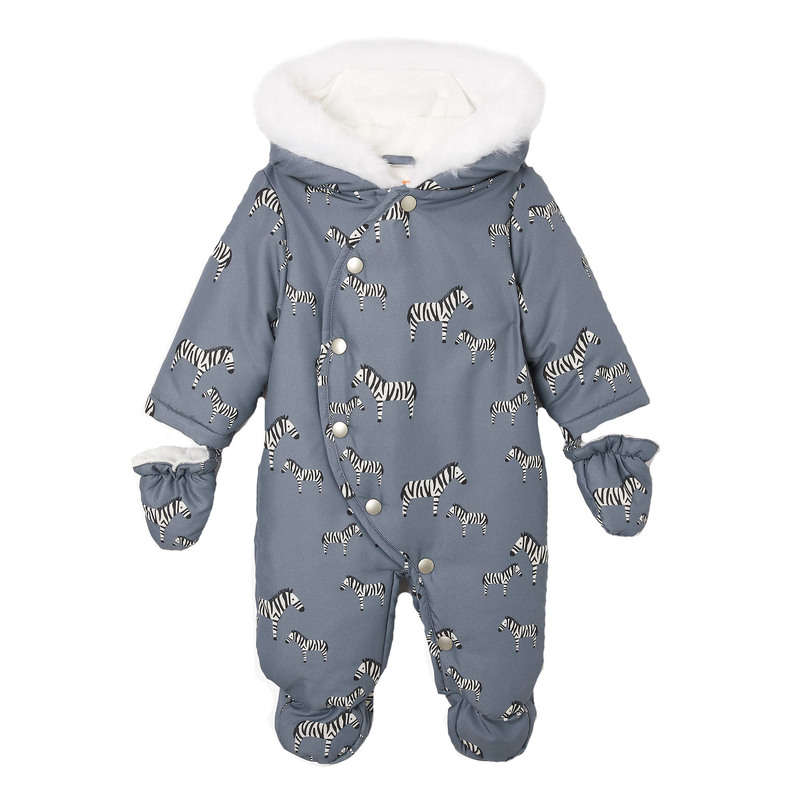 This adorable snowsuit is covered in a fun zebra print, with detachable mitts that will keep little ones warm, while the showerproof finish will help keep them dry. It's raining dinosaurs! 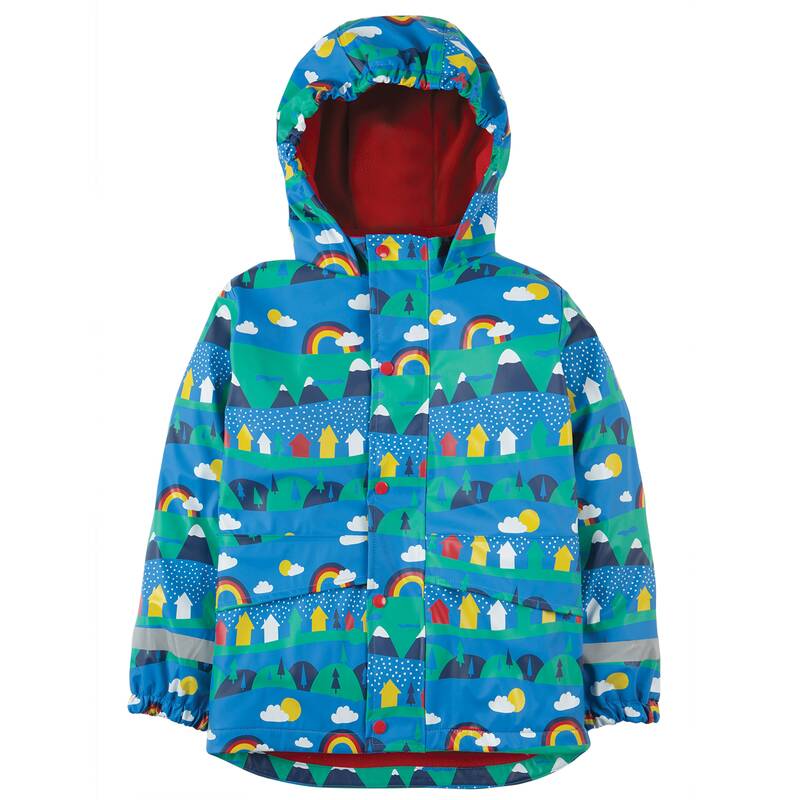 With our bestselling Reversible Waterproof Fleece Lined Rain Jacket, little ones needn't be stuck indoors when it starts to rain. 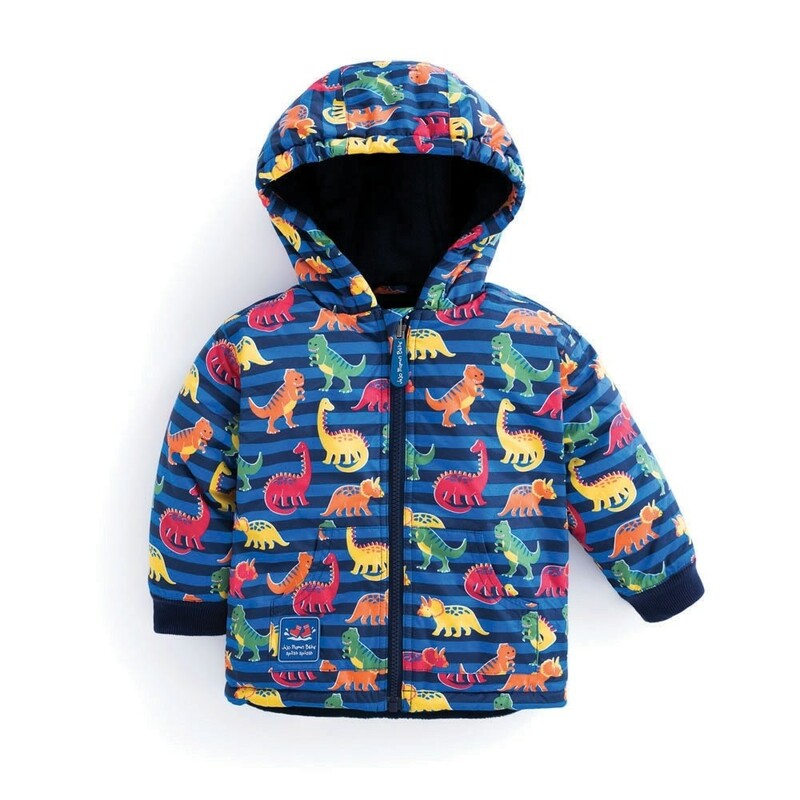 If your child loves dinosaurs, they'll need no encouragement to wear this fabulous dino print, which will keep the wind and rain out. And because it's reversible, you get two looks for the price of one. A shower-resistant jacket with cosy fleece lining, extra warm wadding, and fleece-lined pockets. 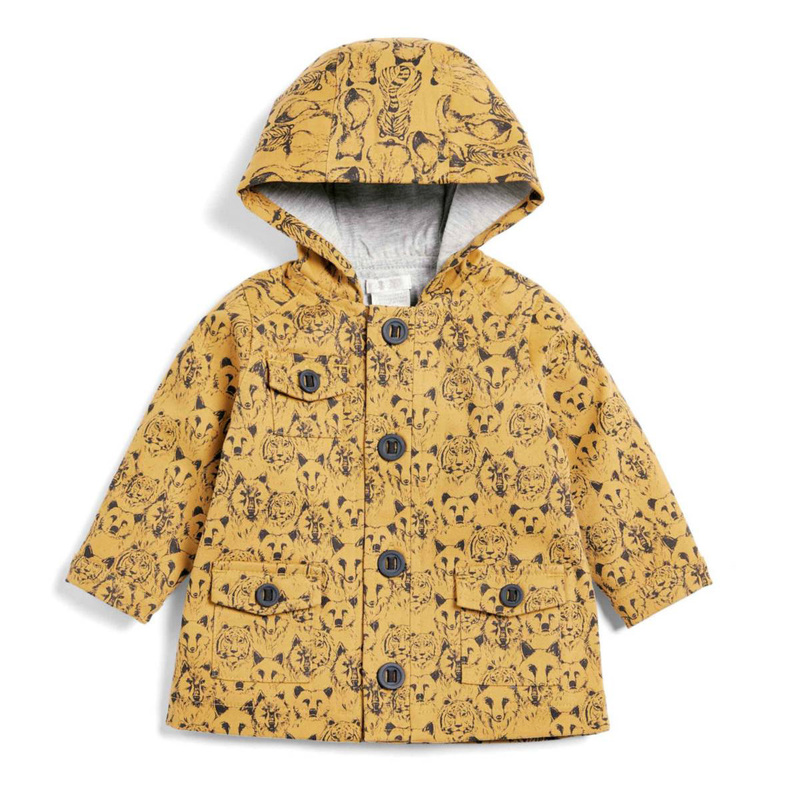 Crafted with care to give little one the best in comfort and protection, this printed coat is an adorable option to keep kids warm and toasty. 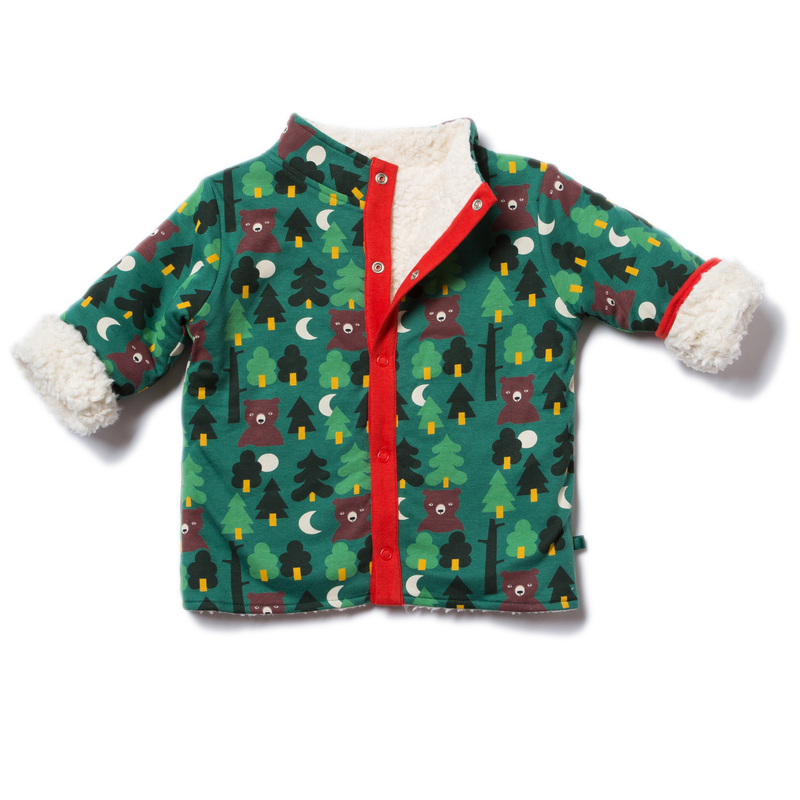 Featuring a cute car and bird print, this baby coat is as stylish as it is cosy.